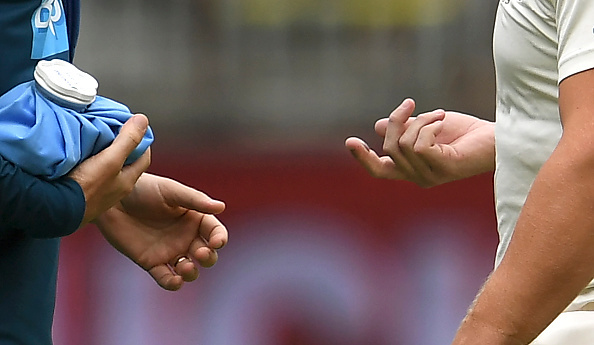 Finch has hurt the same finger twice in recent times. Australia’s opener Aaron Finch has struggled so far in the two-Test series and when he was looking good, an injury seemed to curtail his participation in the ongoing Border-Gavaskar Trophy 2018-19. 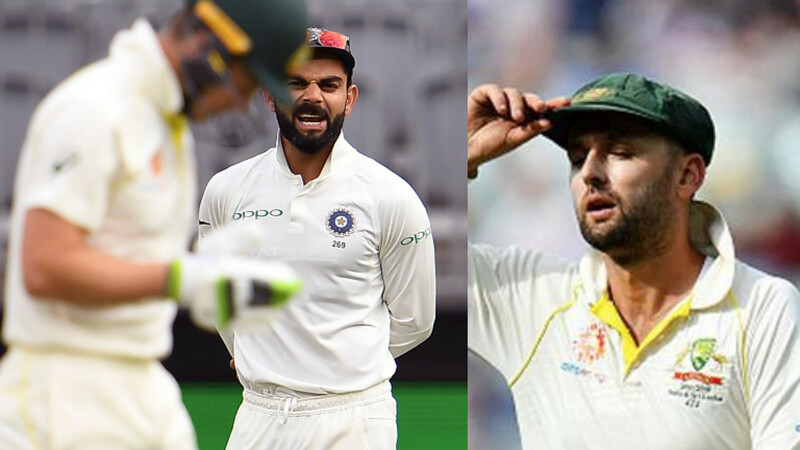 Finch was looking good when in the 13th over of the Australian second innings, a quick short ball from Mohammad Shami reared up and hit Finch on his index finger of the right hand. This turned out to be the same spot where he had twice been struck by Mitchell Starc in net sessions earlier in the summer. Finch immediately called for the physio and left the field retired hurt and was taken to hospital for X-Rays and scans. Now the reports from the scans were released and teammate Mitchell Starc shed light on the issue. "I think his finger is still numb. I think they put some stuff in it, but we'll see how it goes overnight," Starc told Fox Sports. "There's a bit of swelling there and he will, I guess, spend the night with the doctors as well and test it out in the morning to see if he can keep batting." "I think that's the third time he's been hit on it in the last four weeks. So not ideal. Unfortunately, I was one of those ones that got him. 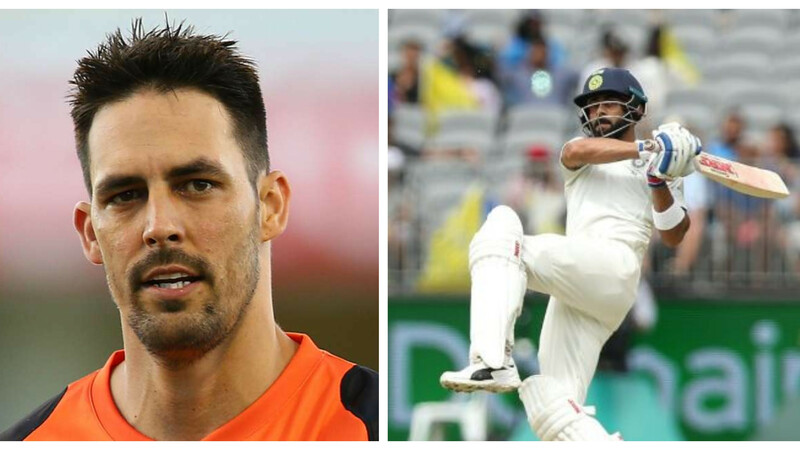 Hopefully, it goes okay overnight and he can keep batting tomorrow at some point," Starc said. Finch had scored a duck in the first Test and had managed to score a fifty in the first innings of the Perth Test and had reached 25 not out in the second innings was quickly wringing his right hand after the blow from Shami.